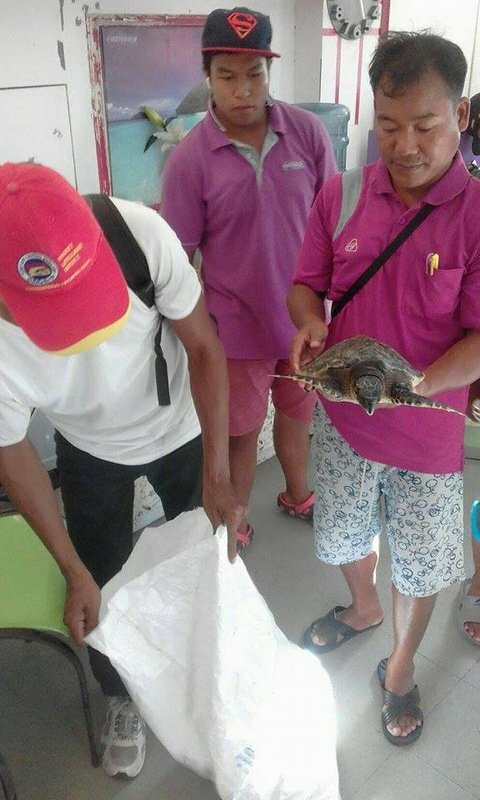 PHUKET: Two young Hawksbill sea turtles are in the care of the Phuket Marine Biological Centre (PMBC) after a tour guide spotted trapped in a discarded fishing net south of Phuket late yesterday afternoon (Sept 5). 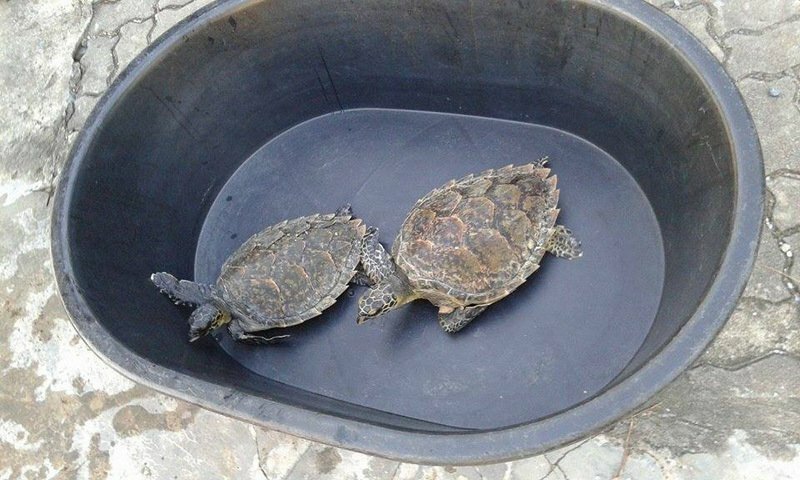 “The two turtles are receiving treatment. They have wounds on their front flippers that have become infected. 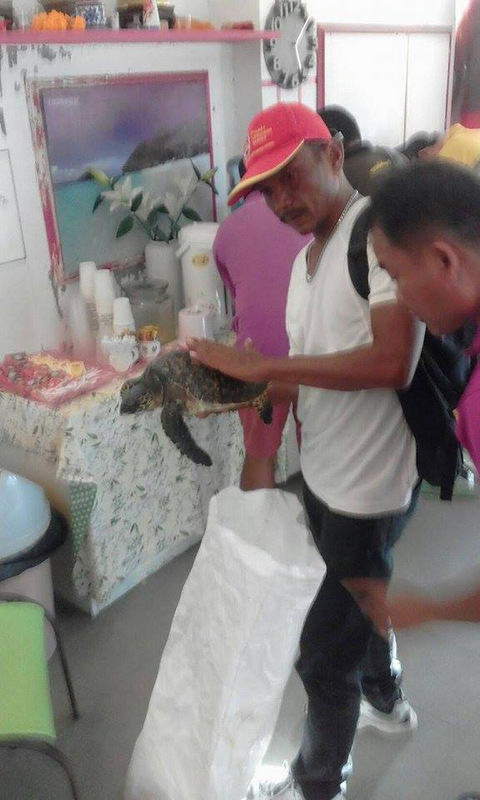 We will look after them until they have fully recovered,” one PMBC official, who asked not to be named, confirmed to The Phuket News. The turtles were spotted by a guide on a Nikorn Marine Tour boat taking tourists from Koh Racha Yai to Coral Island between 3:30 and 4pm, noted in a post by avid Facebook user “Khanchit KlingKlip”, who works as a local tour guide. 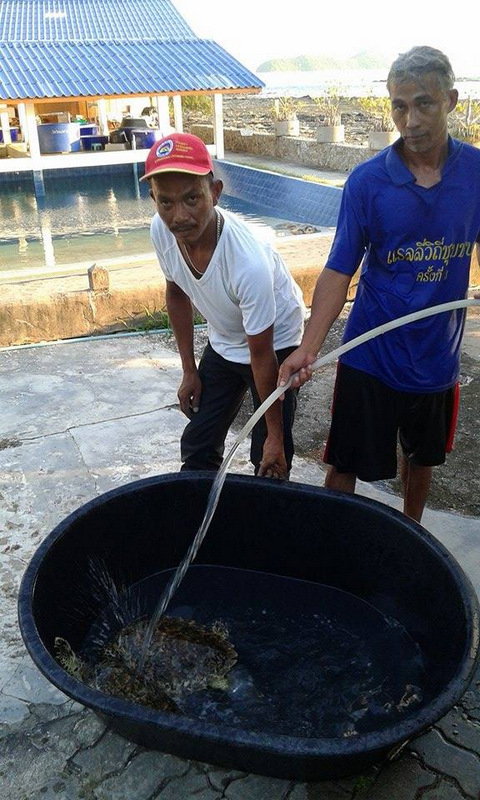 “We delivered the turtles to Chalong Pier at 5pm after Nikorn Marine Tour crew found them. Then they were transferred to the PMBC. 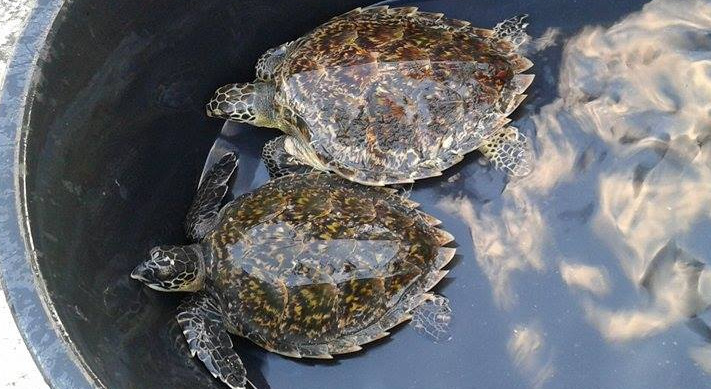 It was lucky for the turtles that they were rescued,” he said. If I learned one thing, that is that thai 'professional' fishing people not give a damn about their own environment. And also that the Government is not doing enough to control the fishery industry. Both are not good for Thailand's sea life/environment.